I love this picture. 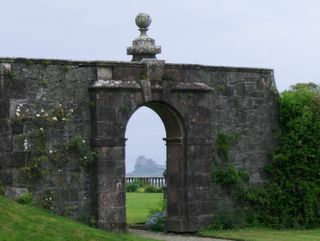 It is a view of Duart castle, as seen through an archway at Torosay castle. I think this will be my last entry about Mull for a wee while as I have knitting goodies to show you. Someone has been spoiling me!